The Most Beautiful Bathroom in Winnipeg | What Next? 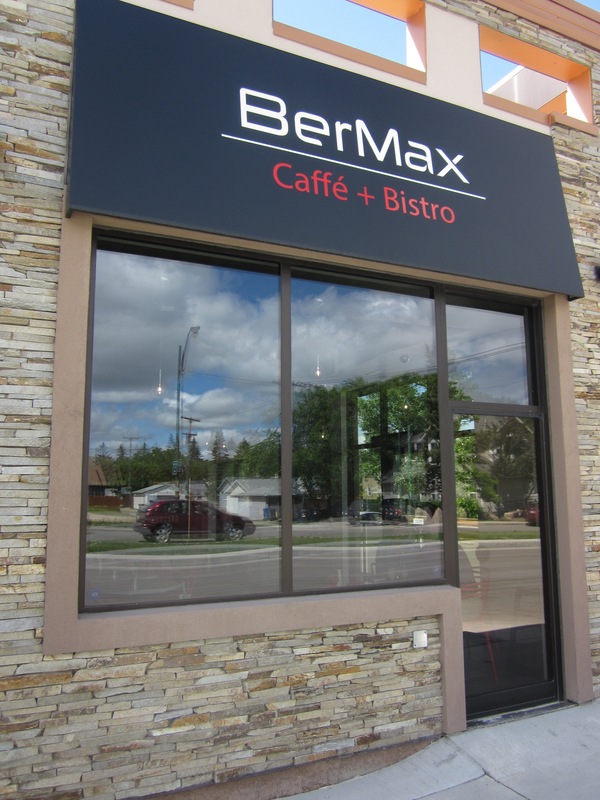 I had lunch with my sister at The BerMax Cafe on Corydon not long ago. The chairs were comfy, the decor interesting and the food was fine, although the air conditioning was on full blast so we froze as we sat and talked. But……………… the restaurant has the most interesting bathroom. 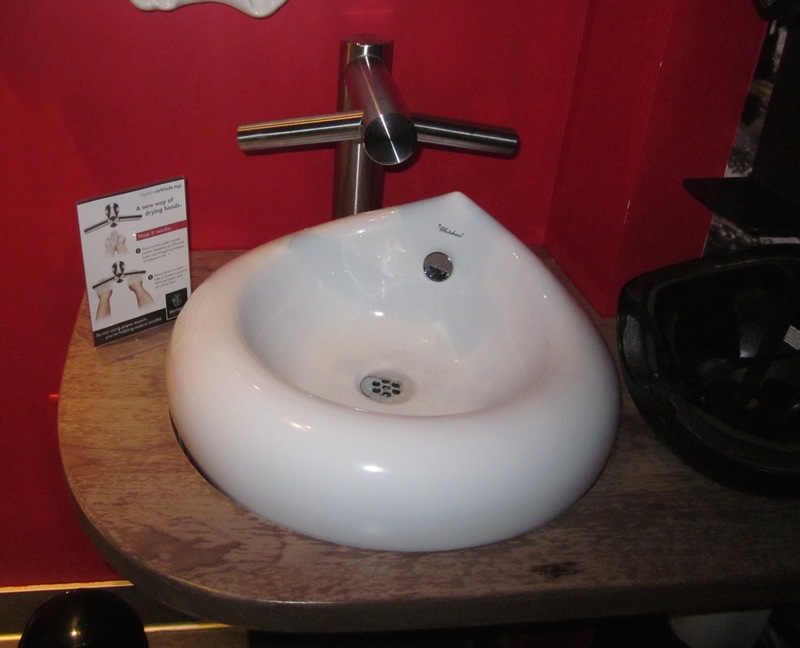 Check out this high tech sink. You hold your hands under the centre of the tap for the water to come out and then you just move your hands apart where they are dried under the two metal pieces sticking out on either side. A little card by the sink tells you how it works. 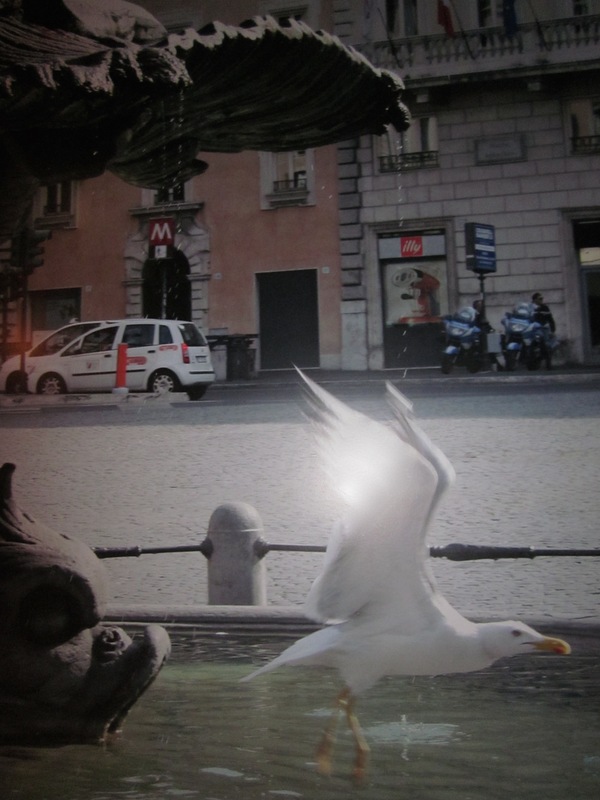 You feel like you are in the centre of an Italian city as you use the washroom. 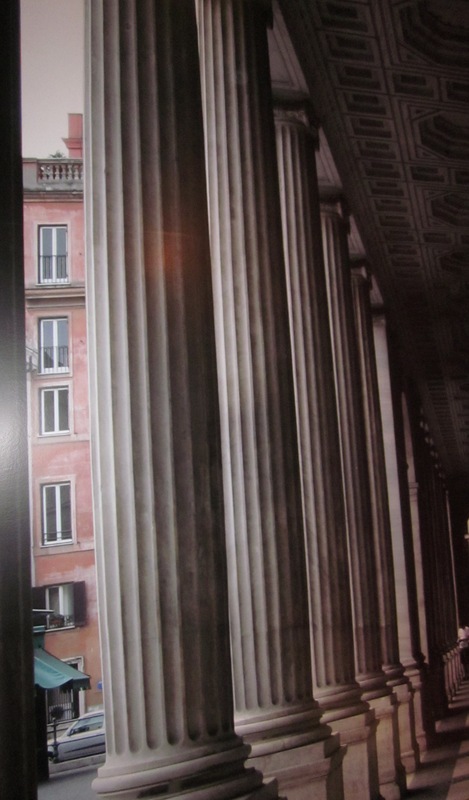 This floor to ceiling scene is to your right as you use the facilities And this is the view to your left. My mother always said you could measure the quality of a place by its bathroom. If that were the case the BerMax should get rave reviews. Reblogged this on Destination Winnipeg.